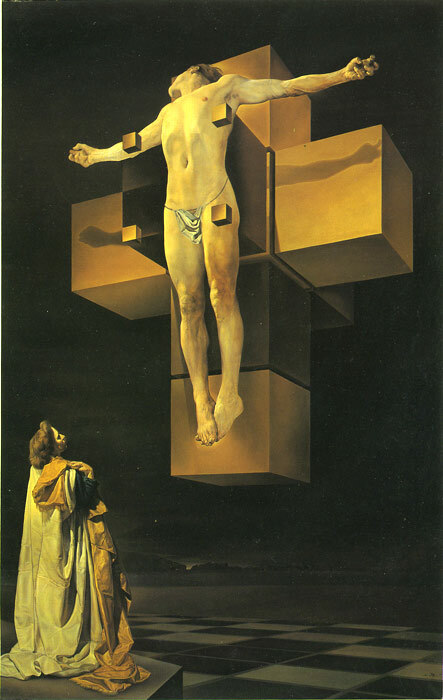 Corpus Hypercubus /Crucifixion/ represents the idea of Dali about the dynamical disintegration of one of his most characteristic elements, the atom. He was very interested on theories related to matter composition. SPECIAL NOTE : The painter will make the reproduction as close to the original oil painting as possible. If you want your painting to alter from this likeness, please email us and " Corpus Hypercubus /Crucifixion/ 1954 " will be reproduced according to your special requirements.